Mayor Pipe! 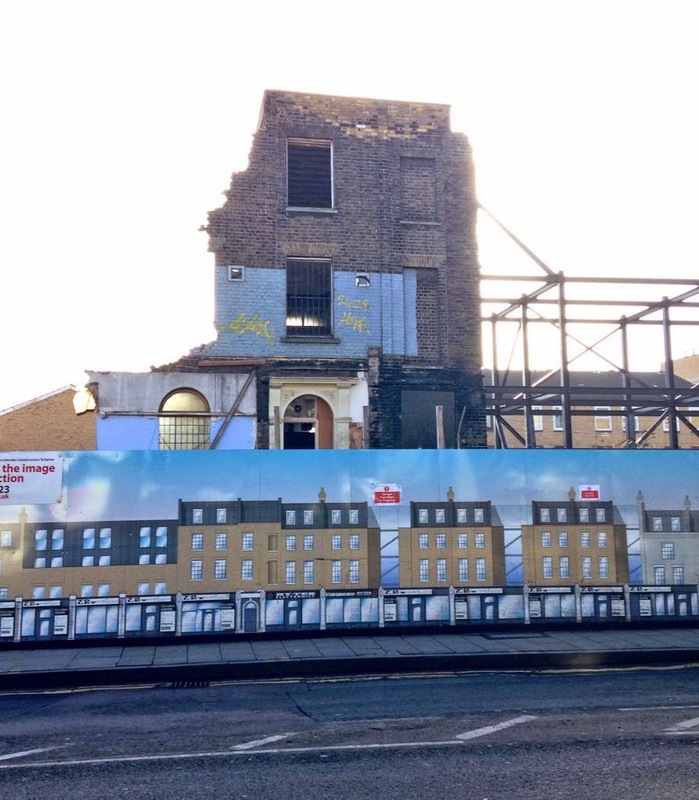 When will you apologise for the destruction of Dalston's Georgian houses? Do you remember I wrote to you last September, on behalf of OPEN members, about our Georgian houses of Dalston Terrace? I offered to arrange a meeting between you and the Spitalfields Trust, who wanted to restore them and provide some affordable housing. Months earlier I'd written to your officers, but they refused to discuss the Trust's proposal. You didn't reply to my letter either. 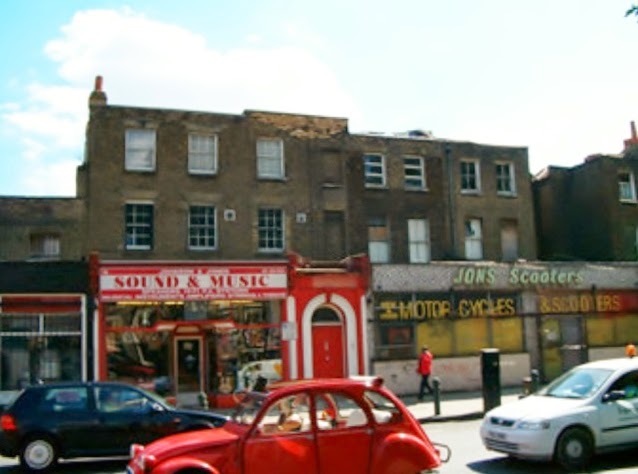 Did you know that, since I wrote to you, Number 66 Dalston Lane (c 1807), our old Sound and Music shop, has been demolished? 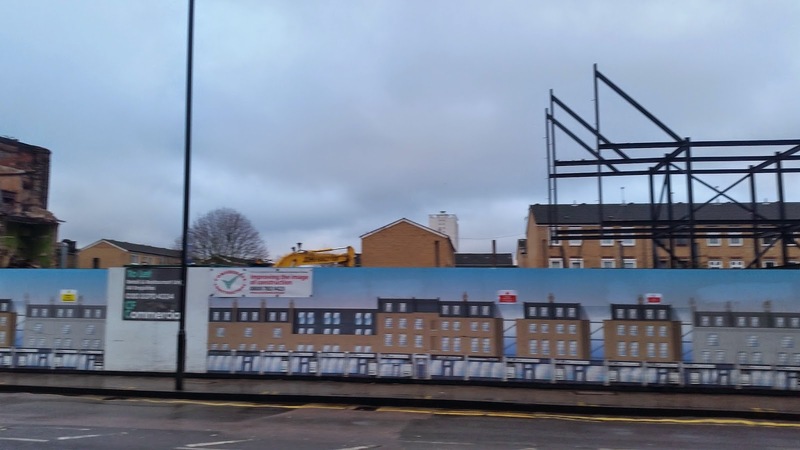 You are reported as describing it recently, whilst driving past, as " the eyesore". It is gone now, which you may be pleased to hear. "Dalston Lane. We're going to miss you.You're still strong, solid and beautiful.We will keep fighting for you and your old firends around here. 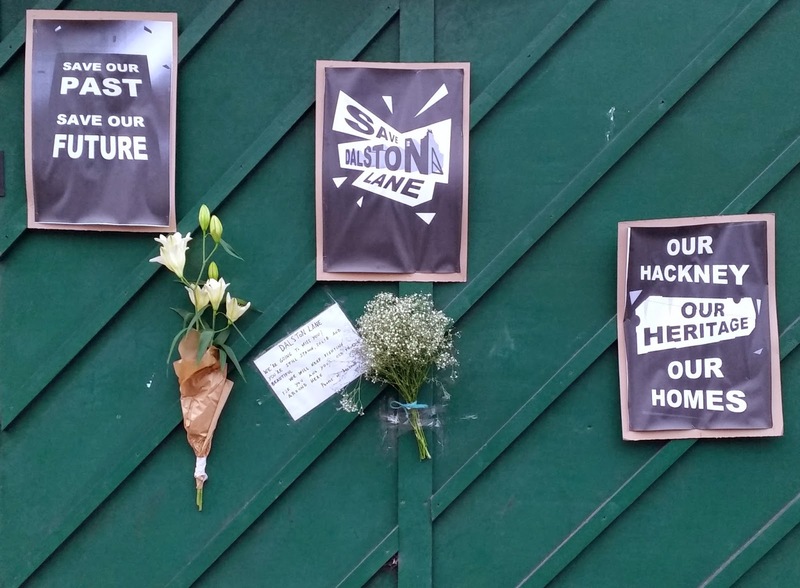 People of Dalston"
We held a wake beside the ruins and local people are still leaving touching tributes at Dalston Terrace, in front of the remaining houses which have been condemned and are the next to go. 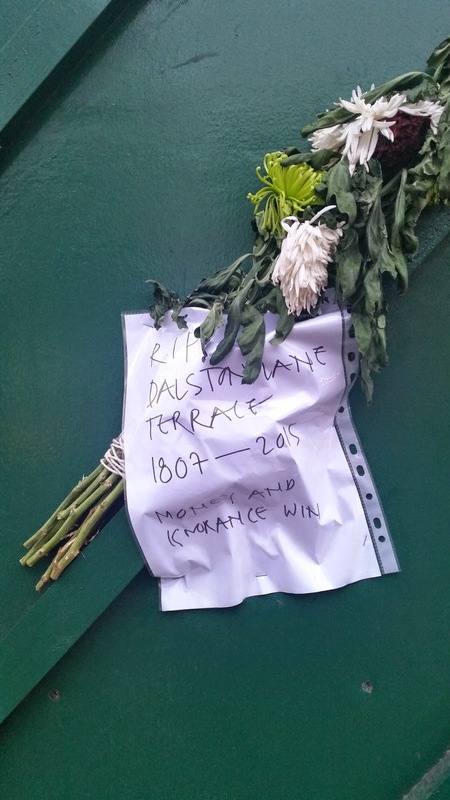 "RIP Dalston terrace. 1807-2015. 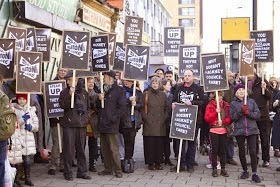 Money and ignorance win"
As you know the story of Dalston Terrace is a long one - over 200 years in fact. But let me remind you just of what we can both recall. You will remember Hackney Council inherited Dalston Terrace in 1984, free of charge, when Margaret Thatcher abolished the Greater London Council. It was a thriving terrace then, with seventeen independent family businesses. 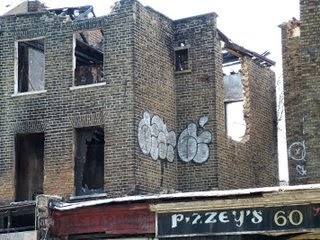 But in the following years the Council refused to grant its tenants new leases, empty houses were boarded up, many were squatted, roofs fell in and millions were lost in rents. 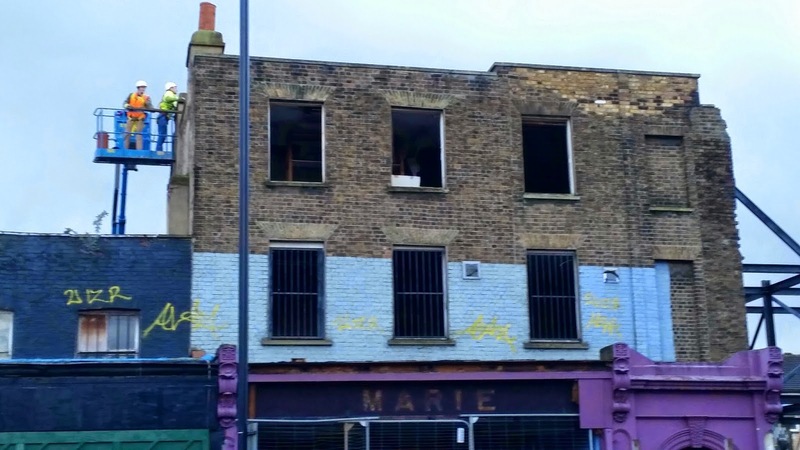 We were shamed by the years of neglect and dereliction on Dalston Lane. 2002 was the year when you became Council Leader. At the time Hackney was £70million in debt, from its grand follies, like The Ocean on Mare Street. To balance the books, it flooded the market with its 'surplus' properties including Dalston Lane and Broadway Market. It was a fire sale of the family silver. You will also remember the report of independent auditors that £millions were lost to Hackney taxpayers by undervaluing private sales. 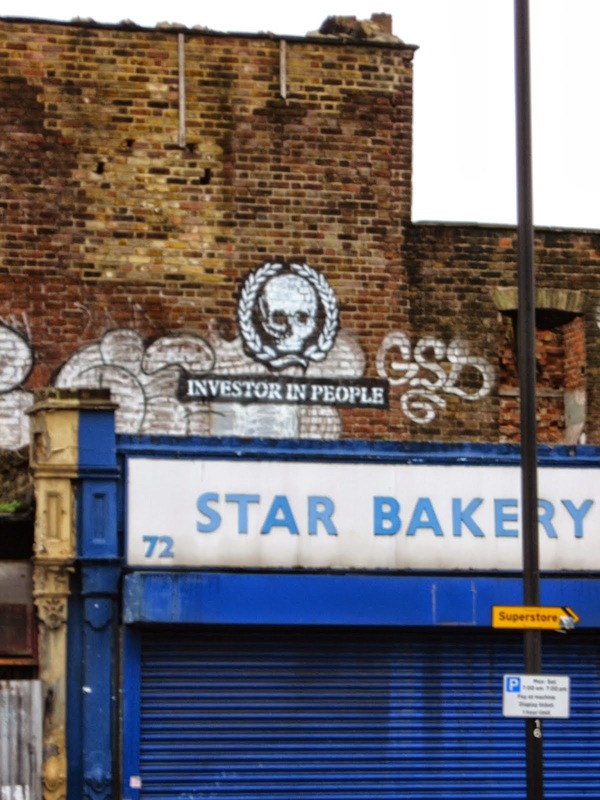 When Dalston Terrace was put up for sale there were, by then, only five surviving businesses left. As you know, your standing orders required the Council to offer first refusal to your tenants. But your tenants' offers, and their dreams, were ignored. The houses were sold as one lot, at auction, to an offshore company. Fires and evictions followed. 2005 was the year when you became our elected Mayor, with overarching executive powers and responsibilities. 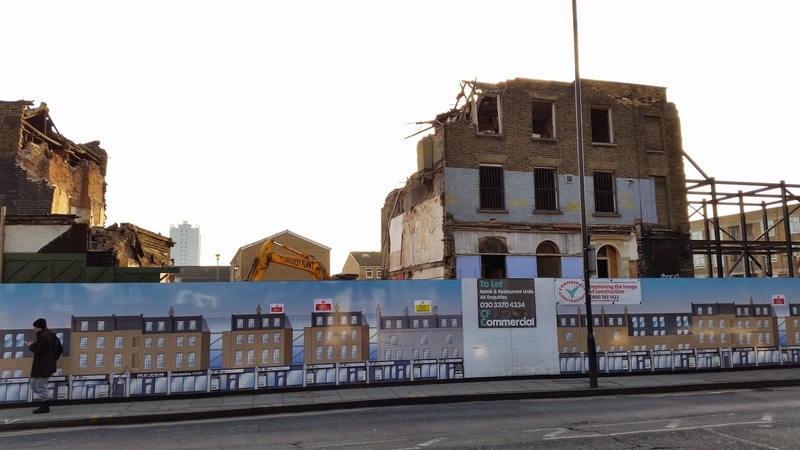 It was the year when you authorised the demolition of the 1886 Dalston Circus and locally listed Georgian houses as part of the Dalston Square development. 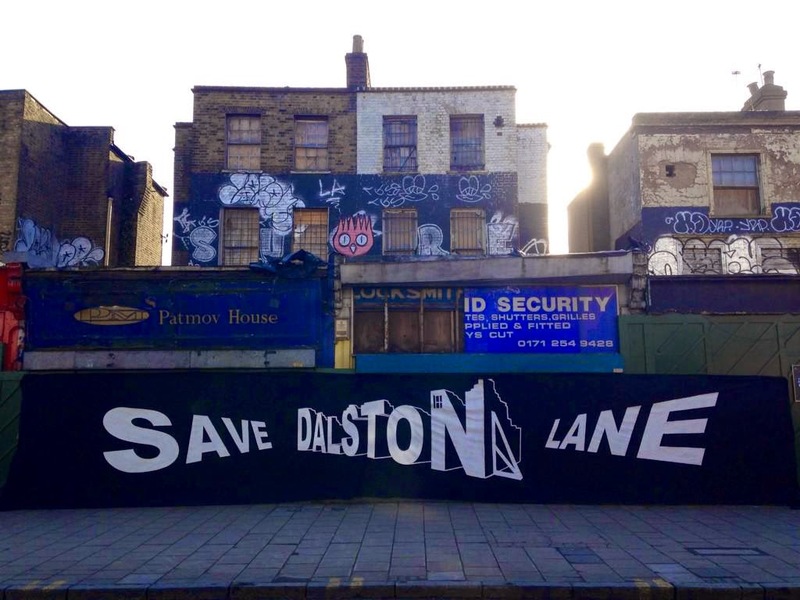 But we took heart when the Dalston Lane Conservation Area was declared. Your Council said it was the “champion of our heritage” and would protect and enhance these “remarkable survivors of Georgian architecture”. The following year, after the arson attack when JON’S Scooters burnt down, you may remember that OPEN members made a deputation to your Cabinet. A resolution expressing urgency was passed. But nothing was done to shore up the burnt and vadalised structures or to protect the remaining houses. Later, to our dismay, your Council just demolished JON'S Scooters, and Pizzey's Flowers, and let the rest continue to decay. The Georgian Group has called it a “policy of studied neglect”. We, that is OPEN members, worked hard to gain recognition in the Council's recent planning policies for restoration of the surviving characterful houses of Dalston. We hoped that these rare fragments of our Georgian heritage might be saved so that future generations could take pride in our heritage and where we are from. But when the Council eventually bought the houses back from the off shore company, for double what it had sold them for at the auction, it didn't seek offers for their restoration. Instead a profit led scheme was designed, loading the ancient structures with 44 new flats, all for private sale. I was told that you personally approved of the plan. 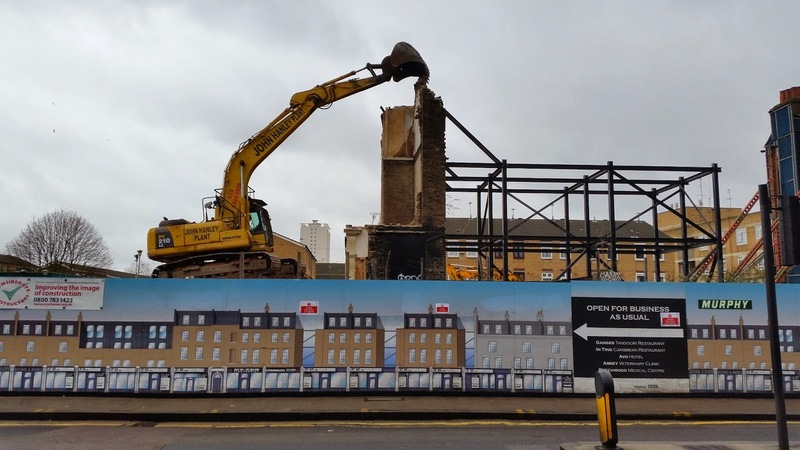 The Council considered their destruction to be inevitable and authorised its development partner, Murphy, to demolish them all. Without planning permission. Did your Council think it was above the law? 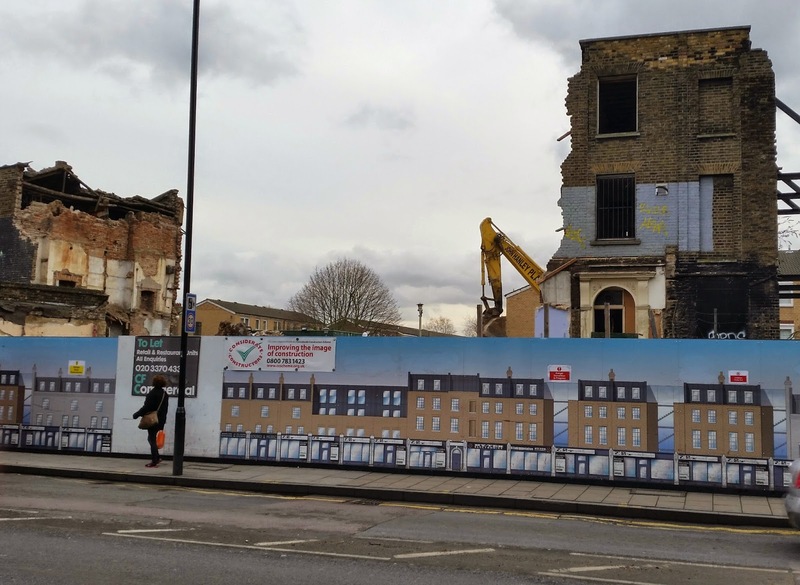 Now, after thirty years of deliberate neglect, after families and businesses have been driven out of the area and Hackney taxpayers have lost £millions, the final destruction of 200 years of our local history is under way. Your Cabinet colleague, Councillor Nicholson, has called it a “genuine conservation led scheme”, although nothing will be conserved. It is claimed that the planned “heritage likeness” phoney replicas are so costly that there can be no affordable flats for local people either. If the demolition programme carries on to Phase 2 there will be nothing left for our grandchildren, except our memories and photographs of how Dalston used to be, and for us to tell them how our elected leaders stood idly by and watched their heritage being neglected and destroyed in the name of regeneration and necessity. 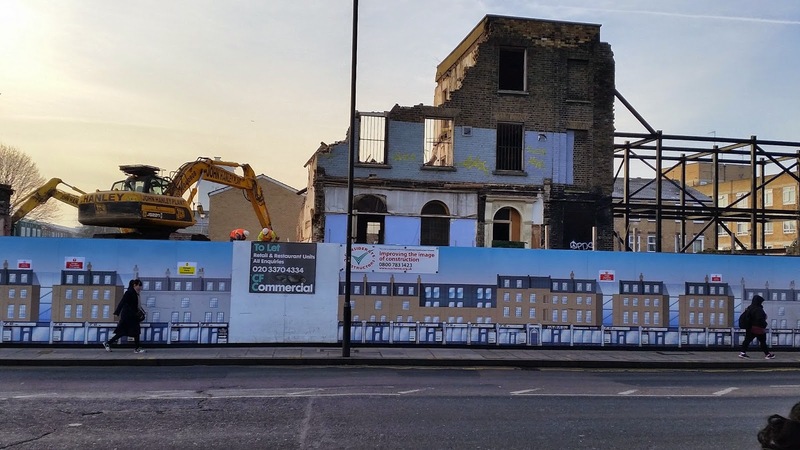 I am writing to you again now, on behalf of OPEN members, to ask whether you will be issuing an apology for the years of dereliction and for the loss of the houses of Dalston Terrace which have already been demolished. 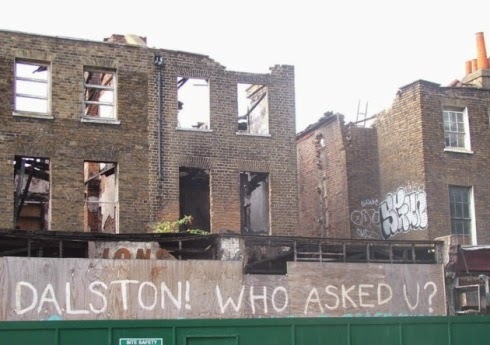 And also to ask you whether you will agree, even now, to meet Spitalfields Trust to consider whether the remaining houses of Dalston Terrace could still be be saved. I do hope that this time you will consider our request and reply to this letter.